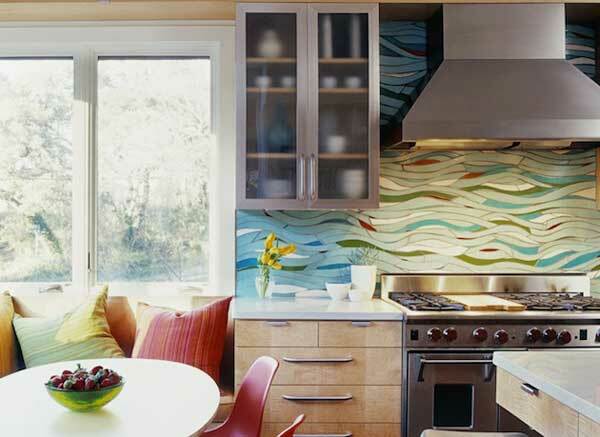 Back-splashes are great areas to add an accent of color or design into your kitchen. 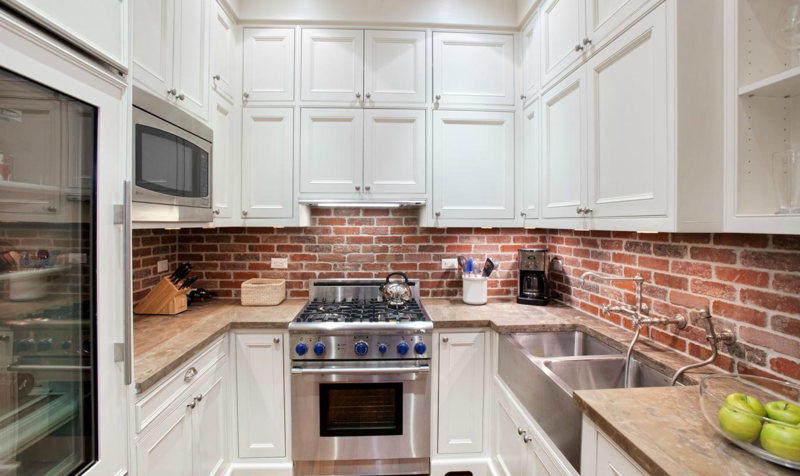 Sadly, they are underutilized in many homes with nondescript tile or no tile at all. They are literally blank canvases begging to be filled with your imaginative image. 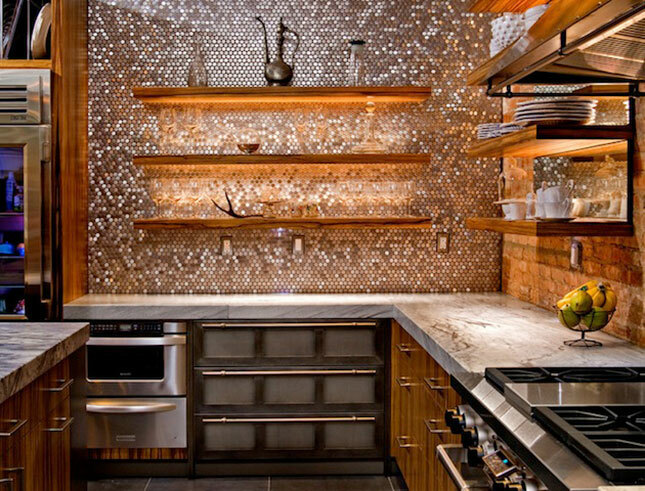 Below are examples of stunning back-splash ideas, to get your creative juices flowing! 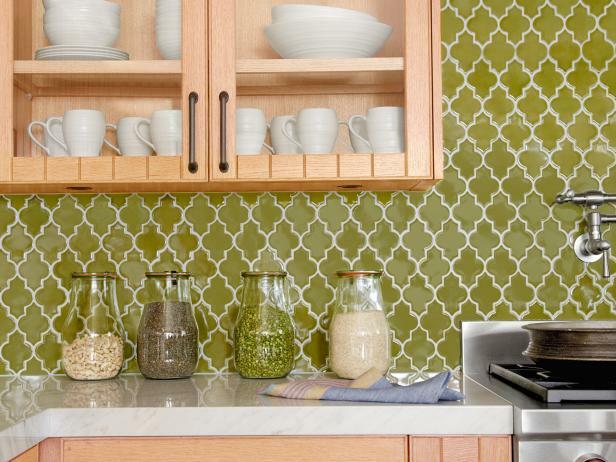 Lime green Moroccan back-splash (hgtv). 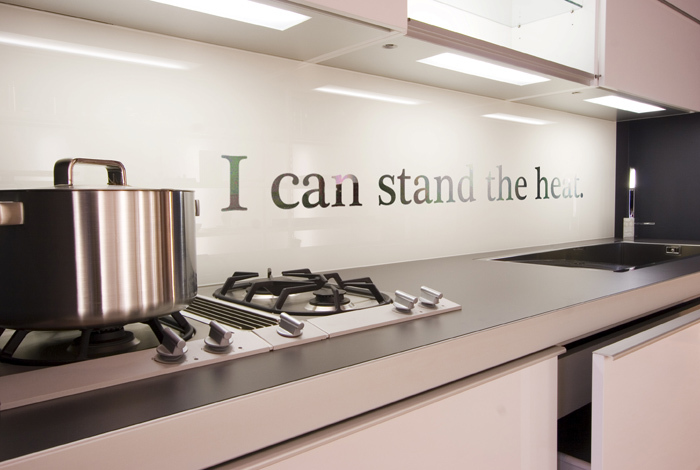 Sleek and clean back-splash with custom quote (dreamwallsglass). 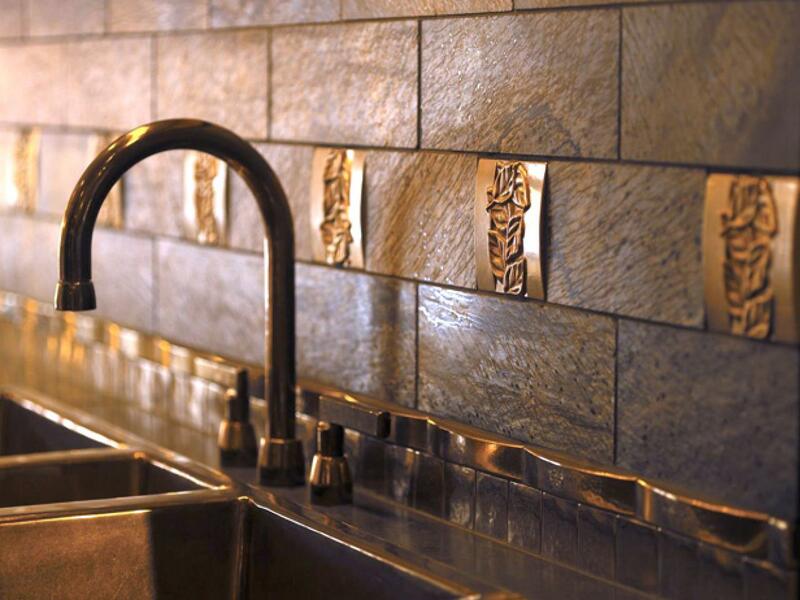 Distressed stone tile with gold leaf-ornament accents (Metallic river-rock back-splash (buildpremier). 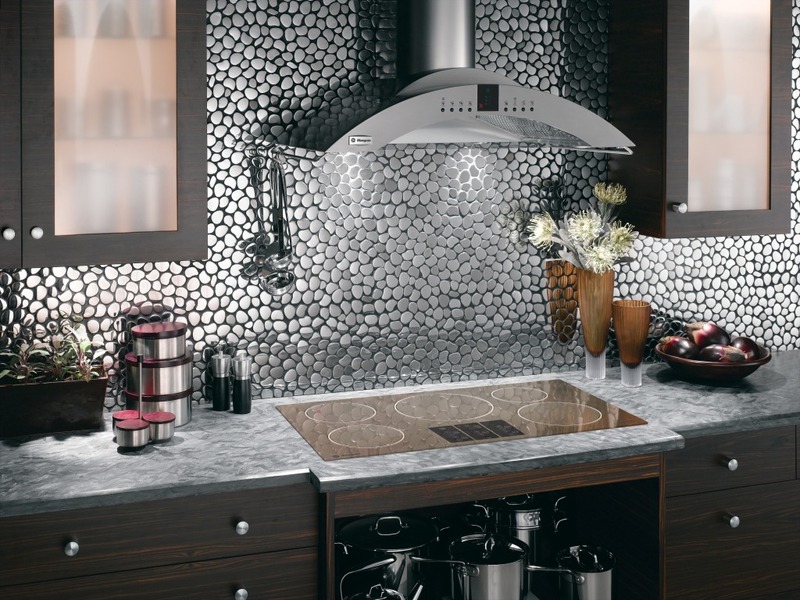 If you desire sparkle and glitter in your kitchen, without being tasteless, small lustrous back-splash tile is your answer! 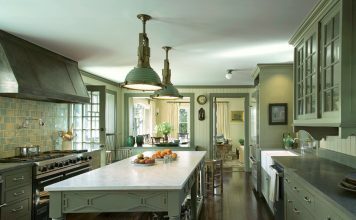 To achieve different looks using this style, consider using stainless steel tiles, opalescent or pearlescent tiles, small re purposed mirror pieces, or mosaics with shiny finishes. 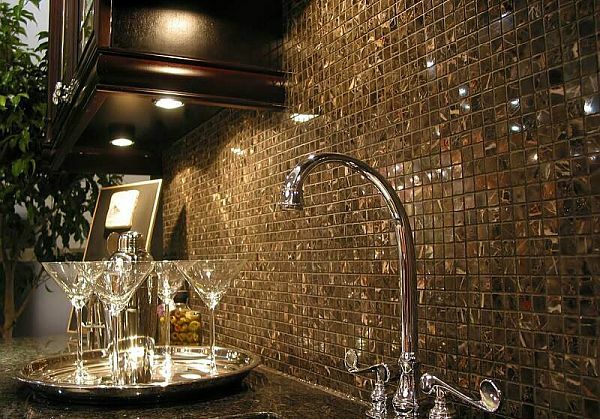 Luxurious brown, glittering tile (umohe). 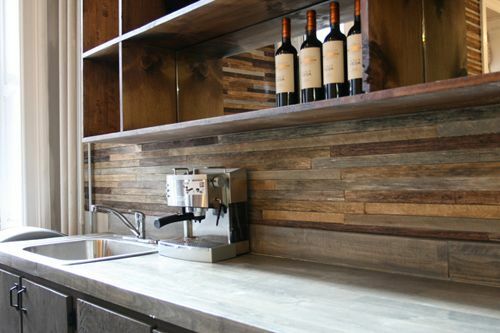 However, one does not have to be limited to ’tile’ when designing their back-splash! 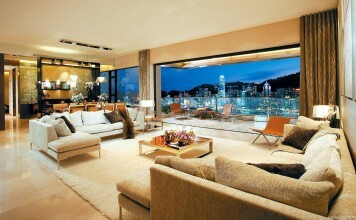 You can choose from nearly anything: brick, pennies, wood, a slab of glass protecting a piece of art beneath, mirrors. 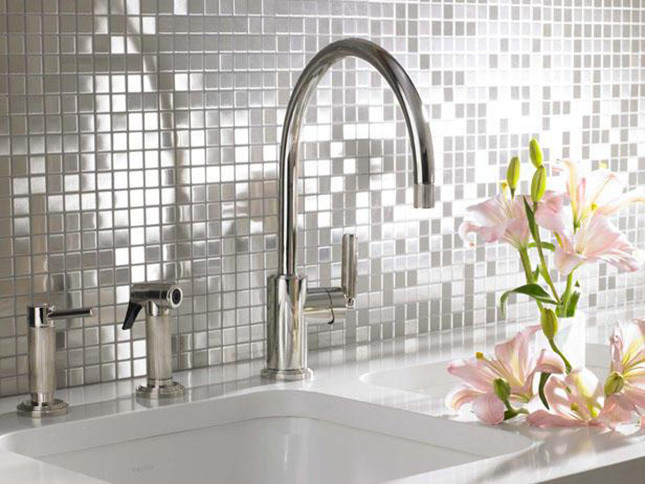 Below are excellent examples of back-splashes with no tile whatsoever! 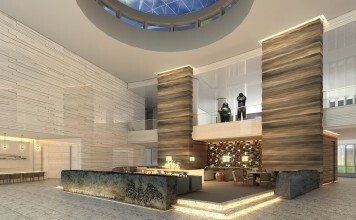 Also keep in mind that the wall behind your counter need not be a repetitive pattern, it can be an image. You could make a mosaic, a collage of meaningful photos, a piece of art, or a landscape. 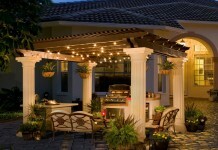 The sky is the limit when choosing how to make your back-splash the main event of your kitchen. Be sure to do your research and find what is best for your style of home and what you hope to feel when you enter the room. Most importantly, make sure that it fits your personality and tastes. Although impressing your guests may feel great, the number one thing a home should accomplish is being a reflection of it’s owner. Good luck!